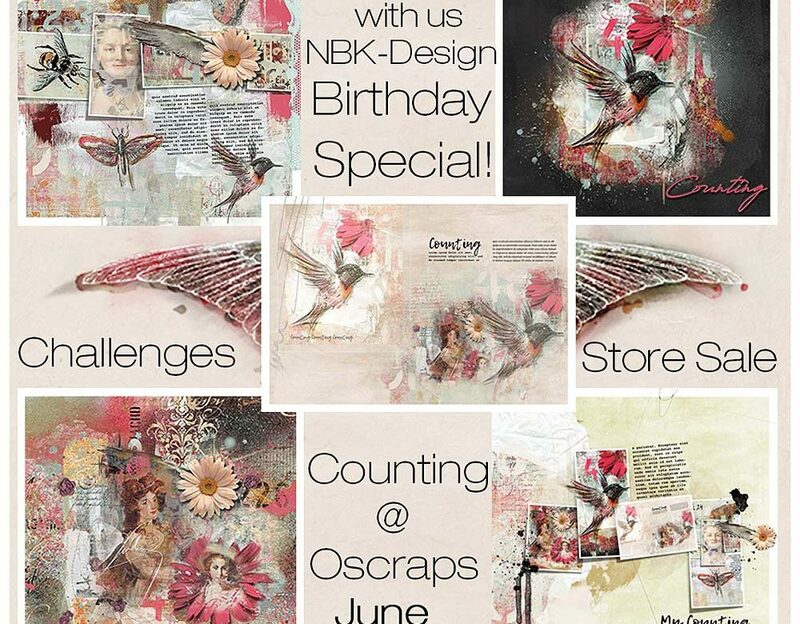 CTM LiMa Inspirations here with the NEW Collection Counting by NBK-Design @ Oscraps. 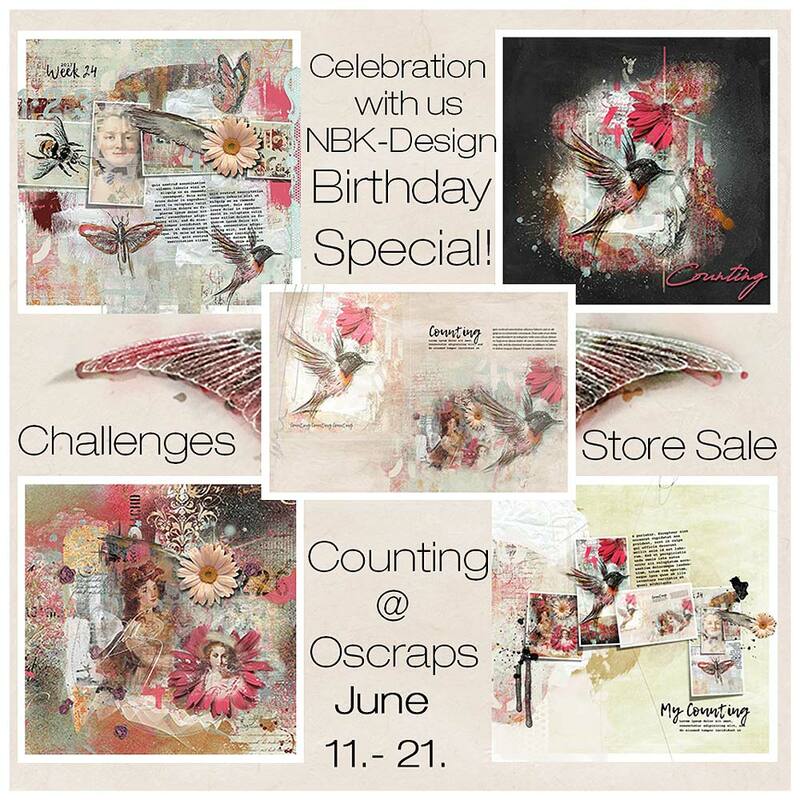 She celebrates with us her Birthday with a Big Sale and Challenges! You can also print it out and create creative postcards, pictures and canvases, it’s really fun! Here is my page,With a template from the grandiose collection.